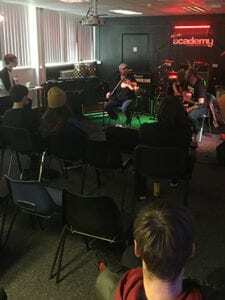 Gateshead students were treated with a masterclass by Ken Bonswell and Dan Booth from the independent band that ‘encompasses folk infused with rock, reggae and Celtic vibrations’, Ferocious Dog. 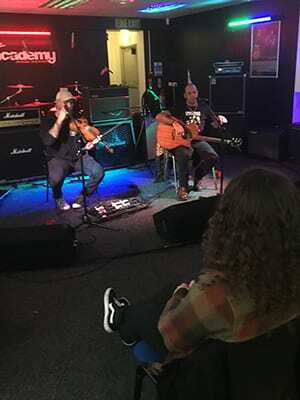 Students were able to get up close for an exclusive performance as well as ask questions, explore Ken and Dan’s experience of music and gain some valuble insight. 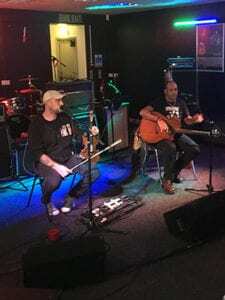 Ferocious Dog have a dedicated fan base who helped them make history by becoming the only unsigned act to ever sell out the Rescue Rooms in Nottingham, not only once but twice.